With this year’s recruiting class officially wrapped up, it’s never too late to look ahead to 2016. Currently, the Ducks have verbal commitments from four prospects for next year’s recruiting class: QB Seth Green, WR Dillon Mitchell, S Brady Breeze, and the newest recruit, TE Cam McCormick. 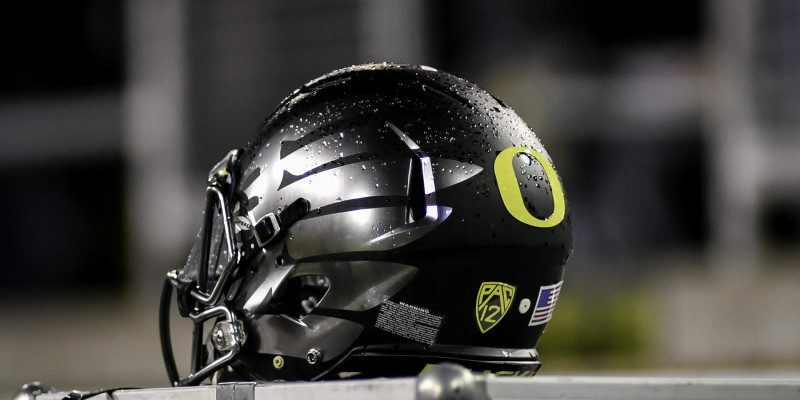 After signing exactly zero recruits from the state of Oregon this recruiting season – and after Oregon State Senator Peter Courtney expressed his displeasure – the Ducks now have two verbal commits from in-state athletes. Portland native Breeze has been an Oregon commit for some time, but McCormick could be the biggest get from the state of Oregon. The 6-foot-5 and 225 pound McCormick, is an athletic playmaker for Summit High School in Bend, playing both tight end and defensive end. Pharaoh Brown had his best year last season, but will he ever be the same player? According to 247sports, McCormick is the best available tight end on the west coast and is rated No. 24 overall at the position. While that ranking isn’t necessarily impressive, with the Ducks needing tight end depth after the 2016 season. Johnny Mundt and Evan Baylis will both be juniors next season (and seniors in 2016), and Pharaoh Brown is still uncertain if he will be able to play in 2015 after his devastating injury during the Utah game last season. Brown is set to be a senior next season, and possibly could medical redshirt like Bralon Addison did last year. If that happens, Brown, Baylis and Mundt will be seniors in 2016 — which would be McCormick’s first year at Oregon. Nothing is certain yet, as McCormick can only verbally commit at this time but still has offers from Arizona, Arizona State, Boise State, Colorado, Montana State, Oregon State, Washington and Washington State. However, there has been a rumor that he has cancelled future visits to other schools after he was in Eugene for the Ducks basketball game against Utah. Last year, McCormick caught 35 passes for 491 yards and eight touchdowns, and headed into his senior year, he should be able to improve on those numbers. 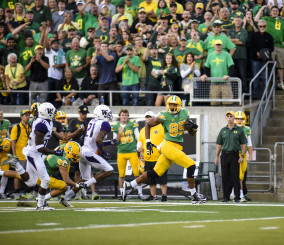 As I mentioned above, the Ducks absolutely need a tight end for 2016 and beyond. Football is moving its focus toward more on big athletic tight ends that are dangerous in the passing game, and it seems Oregon has found its future weapon at the position. With all the top tight end options leaving in two years, Cam McCormick might become a household name sooner rather than later.